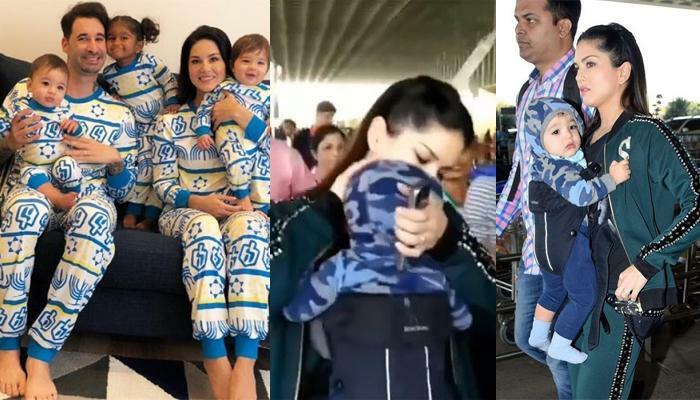 Sunny Leone and Daniel Weber became proud parents to their twin boys last year in 2018, and named them, Asher Singh Weber and Noah Singh Weber. Sharing a picture of their ‘complete family’ then, Sunny had captioned the picture as, “God's Plan!! June 21st, 2017 was the day @dirrty99 and I found out that we might possibly be having 3 children within a short amount of time. We planned and tried to have a family and after so many years our family is now complete with Asher Singh Weber, Noah Singh Weber and Nisha Kaur Weber. Sunny Leone and Daniel Weber's twin baby boys- Asher and Noah are cuteness overloaded, correct? We can't get our eyes off these little munchkins.